I put away the work a little earlier last night so I could spend a more time on the daily drawing. Then I spent an hour looking at flowers trying to decide what kind of flower I should draw the bug on…only to finally give up and draw the tree trunks in. 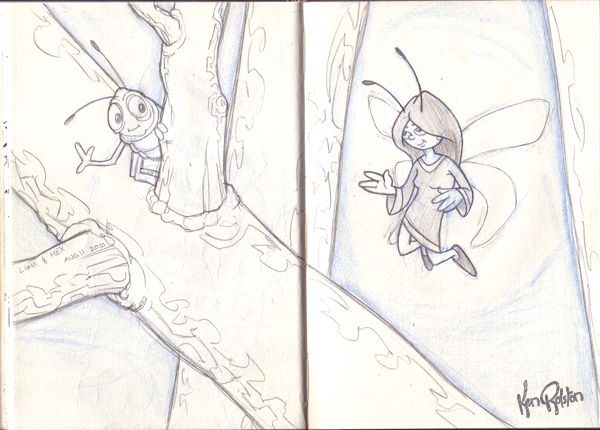 I did have fun drawing the little fairy, so I may do some more fairy drawings this week.